Product information "Scuola del Cuoio x Shibumi Card Case - Burgundy - Calfskin"
Business card case made from the best tuscan calf leather. A small miracle of craftsmanship: made without any visible seams, carefully colored by hand to create a beautifully subtle antique finish. This case has space for more than 10 cards, be they business or credit cards. Perfect for everyone who likes to travel as light as possible. You can also put some folded notes in there, add our coin case and you’re set for every occasion. Made directly in Florence, a city known for centuries for its formidable leather accessories, this case perfectly embodies the city’s rich history of the craft. 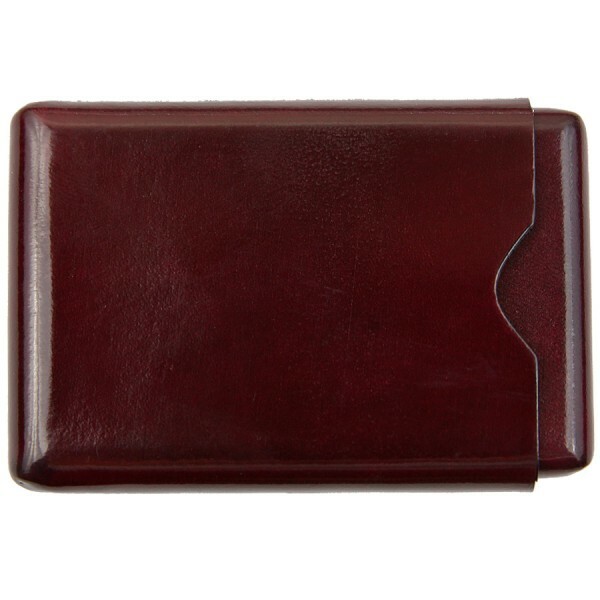 Related links to "Scuola del Cuoio x Shibumi Card Case - Burgundy - Calfskin"